The two-seat Au-12M airship is assigned for aeronaut-pilot training, patroling, traffic and city areas monitoring, emergencycontrol, advertising flight, high-qulity air photography, filming and rescue operations. no helium consumption flights and automatic pressurizing system. The AU-12 is the only airship in the world of this size equipped by thrust vectoring system providing the exceptional controllability at low velocities. The range of application is quite conventional for the AU-12 among the same class airships, as follow: patrolling, air photography, information communication, and advertising campaigns deployment. The airship is particularly suitable for pilot training, thanks to the crew cockpit configuration. The AU-12 flight characteristics allow an intermediate level aeronaut-pilot to master and fly this LTA aircraft having passed through special training course. 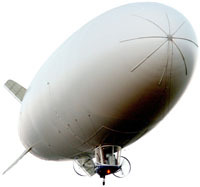 The three parking options are provided by the airship operational conditions – under a shed, at a mobile, or a stationary mooring mast. 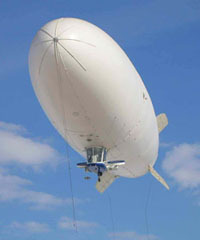 At once as the AU-12 airship has gained its Type Certificate, it was welcomed at the international markets. For the first time in the history of Russia a domestically produced airships have acquired these foreign consumers. 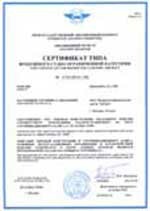 The AU-12 is the first Russian airship awarded by Type Certificate.